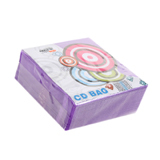 Plastic insert (100 / Pack) Assorted colors. Insert the CD DVD for dust and scratches. Notify me of updates to Insert Song CD (100/Pack).